14" seat diameter and 4" thick padded seat (black). 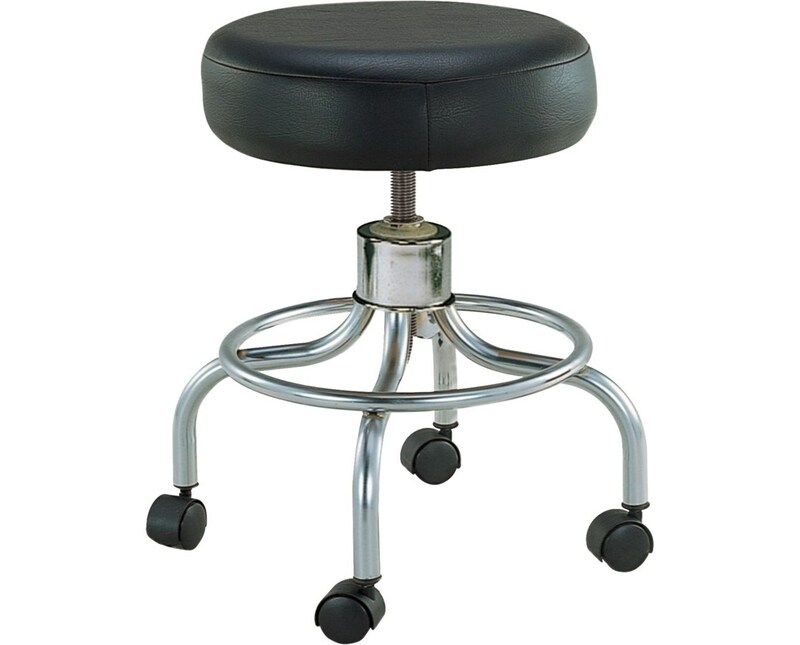 With a revolving 14" seat that features 4" of padding, this deluxe wheeled round stool is comfortable and practical. 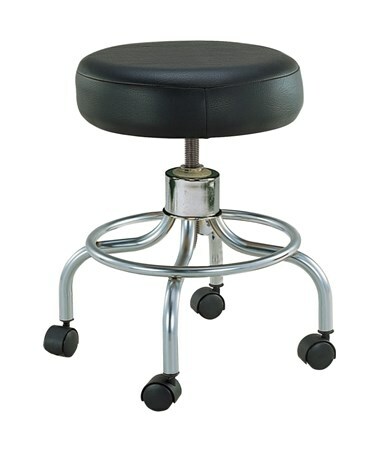 Smooth screw height adjustment includes a solid steel screw shaft, they make raising and lower the seat a cinch.That functionality is supported by the strength of 1" chrome-plated steel tubular construction that can withstand a weight capacity of 250 pounds. Four hooded casters allow for easy transports on the stool, which is protected by a limited lifetime warranty. Height Range 18" - 25"